Last Updated: January 22, 2013 | Subscribe to our weekly newsletter! 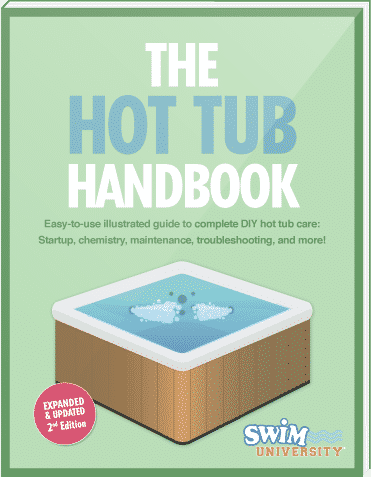 I would like to share what I learned from David Marciniak, owner and lead designer of Revolutionary Gardens, and help you landscape around your hot tub. A wheelbarrow is helpful too, but if you select smaller plants, purchase bagged compost and mulch, you can get by without one. When shopping, look for solid, hefty tools with fiberglass handles. Generally, if a store has three shovels that are identical except for the price, don’t buy the cheapest one. You’ll be replacing it in no time. Build up your collection as needed. Choose manual over power tools at first. For the best and cheapest soil, you want to amend your existing soil. The exceptions are cases where it’s a new build and there is no soil (or if you have horrible soil). David recommends that you stay away from brand name soils. Check your local nursery, garden center or stone yard to find quality products. NOTE: If you’re concerned about the mulch being tracked into the spa, make the hardscape pad around the hot tub bigger by using large slabs of stone or man-made stepping stones to keep bathers’ feet clean. Since we’re dealing with a hot tub, water and chemicals can splash out on the plants. Weather is also a concern since most owners like to keep their hot tub open year-round. David’s ideal plant recommendation: ornamental grasses. NOTE: Concerned about bugs? Allow room between the plants and the side walls of the tub. Also, select plants that don’t have a lot of flowers or other enticements for critters. Using grasses as a “screening plant” to soften the appearance is a good place to start. You can always add more plants from there. 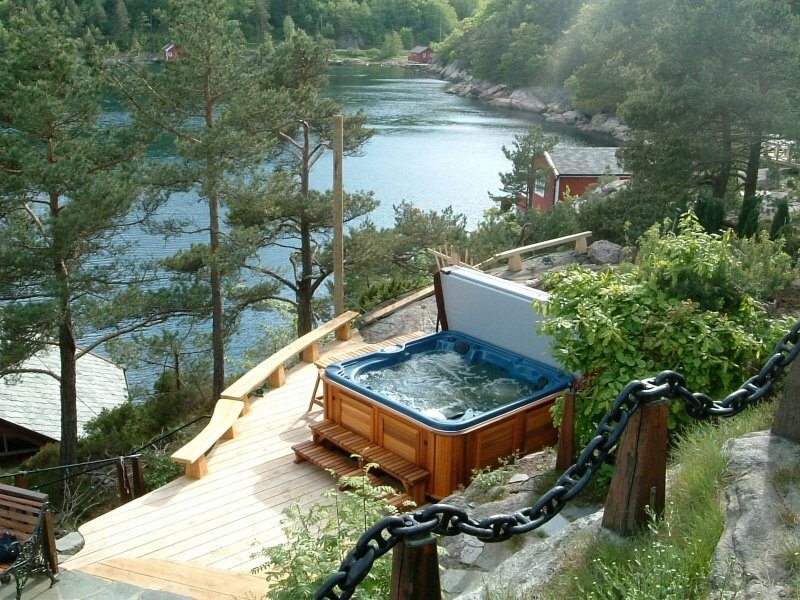 Hot tubs can be challenging, because if you don’t integrate them with the landscape, it can look like a big box sitting on a flat slab – not the most attractive look. If you want your tub to integrate and flow with the surroundings without dominating, a landscape designer can be a great asset. If your goals are simpler – just some simple screening plants to soften the appearance – the staff at your local independent garden center can give you great advice and help you pick out the perfect plants. When planting around a hot tub, you don’t want your soil, mulch or plants touching the tub. You should plant around your hot tub pad (or whatever solid surface your tub in resting on). If you want to add plants closer to the tub, use planters or plant boxes. You can pick up some really nice ones at your local nursery, or cheap plastic ones at Home Depot or Lowes. Current best practices involve planting and back-filling with existing soils, then topdressing with good quality compost. A good topsoil blend is typically a mix of soil and compost. If you have decent soils, a top-dressing of compost will help boost the organic matter and add nutrients. NOTE: If you have a sandy or a heavy clay soil, compost is your best friend. It will improve the worst soil and make an average soil a joy to work with. NOTE: Do not plant in straight compost. Dig a hole in your soil deep enough so the roots have enough space without being bent upwards. Lay your grass in the hole and start filling it in with the soil you just dug up. When the grass is able to stand up on its own, pack it down by lightly pressing on the soil around the grass. You can create a little well so it can collect water and not run off so quickly. Adding a 3 – 4″ layer of organic mulch on top of your soil and around your plants is an important step. It helps suppress weeds and it retains moisture in the soil, which is important for plants. During the first season, plants should be watered at least once a day so they can develop a good root system. Once you’re plants are “established,” you won’t need to water them regularly. You may, however, need supplemental watering during droughts. When maintaining grasses, trimming them during the season will result in a weird appearance and will keep them from getting the awesome flower plumes at the tips in late Summer/Fall. Make sure to read the tag to be certain you’re buying an appropriately sized plant for the space. The only maintenance that may be required is cutting them back in the winter. NOTE: Plants that do well in Miami, FL will fail in Muncie, IN, and may be invasive in Medford, NJ. Talk with the staff at your local garden center. Now that you have the basic tools, ingredients and recipe to get started, what are you waiting for? 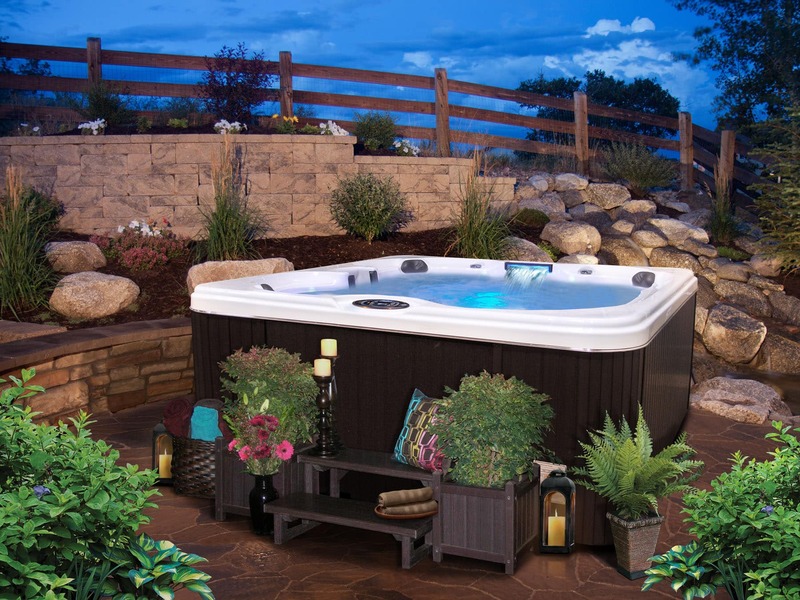 Do you have a friend who wants to landscape around their hot tub? Share this post with them to help get them started on the path to hot tub serenity. Try these amazing accessories to pimp out your hot tub to create a truly wonderful experience each time you have a soak in your spa.